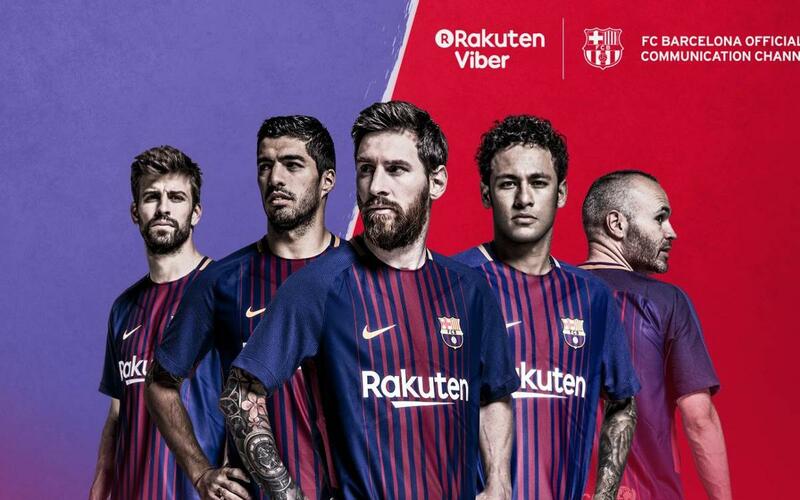 Starting today, FC Barcelona will be launching their very own Viber Public Account that will include exciting content for fans, a behind-the-scenes look into our team´s stars, and up-to-date news and content. This week, followers of the Public Account will get exclusive coverage from the launch event at the Rakuten headquarters in Tokyo, with some of Barça´s biggest stars! Before the big La Liga kick off, Viber users following the Public Account will receive access to an exciting app experience to take them right to the core of the action! In addition to the new Public Account, fans will also be able to download a free and exclusive FC Barcelona sticker pack with hilarious first-team stickers. As the drama of the season unfolds, users will enjoy up-to-the-minute updates sticker packs for every kick, celebration and victory! To celebrate the partnership, Viber is launching a very special competition to give one Viber user and two friends a once in a lifetime opportunity to win an all-inclusive trip to Barcelona to see the team in action from the VIP booth at Camp Nou! Want in? All you have to do is download the FC Barcelona sticker pack and share one of the stickers with your friends. Simply click the icon that appears near the sticker you sent, enter your details and you might just be our lucky winner! There´s so much to look forward to as a Barça fan over the next four seasons, if you don´t want to miss a thing, follow the Viber Public Account and join in the fun!